Located directly on the sea in a unique zone between two seas: the Mar Menor and the Mediterranean Sea. Astonishing views over the golf course, club house and nature reserve. Sold fully equipped with furniture, whitegoods, Airco and grills. Garage included in the price. Ready to move in. Are you dreaming of spending this year in your own paradise under the Spanish sun? 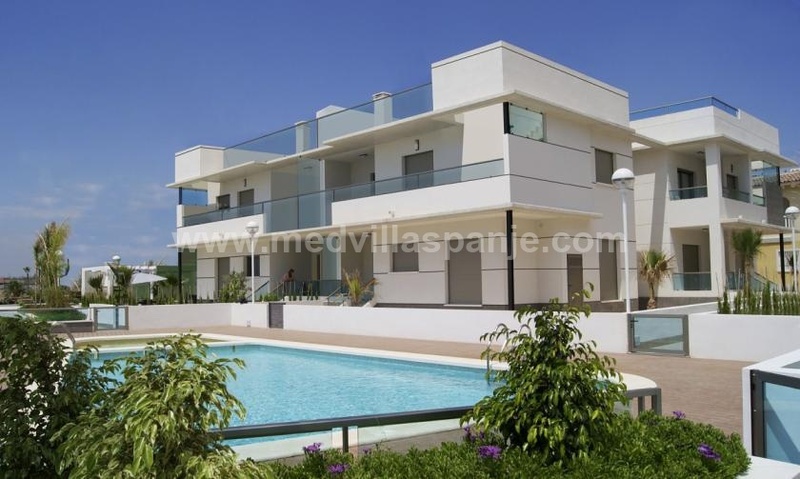 MedVilla has selected the best properties for you on the Costa Blanca & Costa Calida. New construction, all key ready properties, ready to move in and in the short term. Have you been looking for a house in Spain for some time and do you want to take concrete steps in the coming months? Would you like to know more about the entire procedure of buying key ready properties in Spain? Or do you want to know how many additional costs are added to the purchase price? Call us 0034 688 708 332 - or email us - info@MedVillaSpain.com - for a first, exploratory meeting without obligations. Or complete the online contact form. Your key ready home on the Costa Blanca or Costa Calida is closer by than you think! Full purchase support in your own language, With the guidance of MedVilla Spain you can already come home this year on the Costa Blanca or Costa Calida. We are maybe not the biggest real estate agency... But, for you, we'll be the best one. Do you want to get in touch with our team? Thinking of selling / renting your property in Spain? Contact us! Feel free to ask your question and how we can serve you. If the query is about a specific villa for sale in Spain do not forget to indicate the Reference/s or fill out the contact form on the house page itself. MedVilla - The Safe Way to Buy a Spanish Property is buying through a certified Safe Buy Spain Real estate agent. All our villas are Safe Buy Spain approved, which means they are 100% legal, so you can buy with confidence.